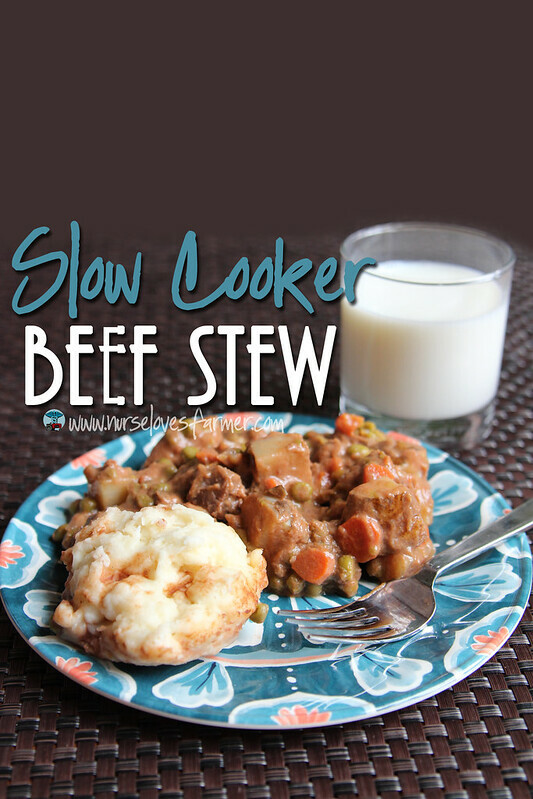 I love comfort food and I’ve found the perfect slow cooker beef stew that I needed to share with you! The beauty thing about this beef stew is that you can just throw all the ingredients in a freezer bag for a really easy meal freezer meal for another day, or of course you can just throw all the ingredients into your slow cooker and let it simmer all day for a really hearty beef stew for supper! 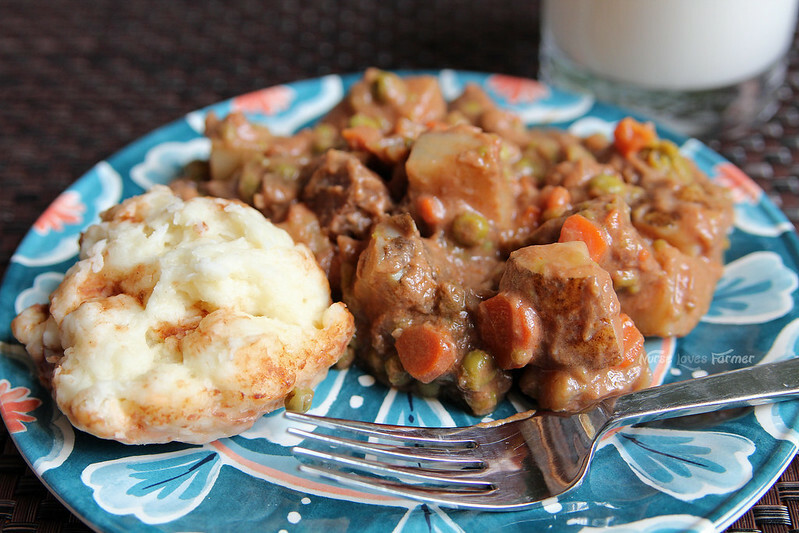 The best beef stew I've ever come across and it's so easy to make. Makes for a great freezer meal as well! Place all ingredients in slow cooker; mix together. 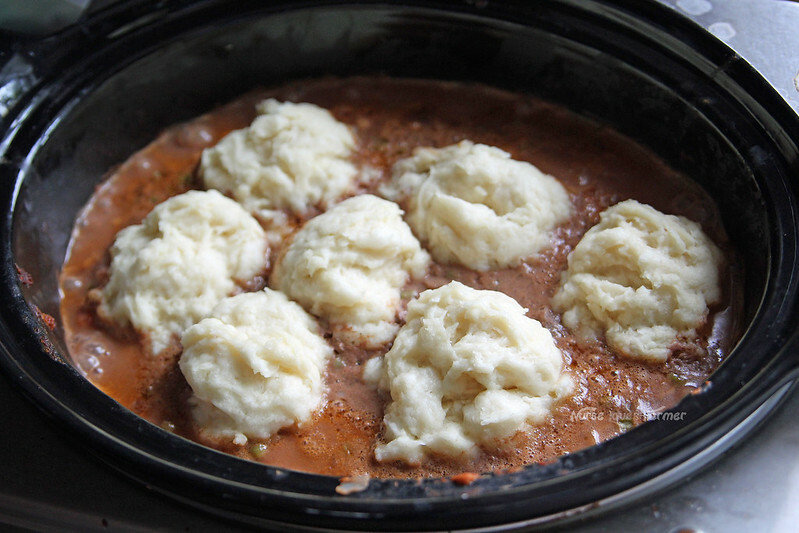 Turn slow cooker on low and let cook all day, approximately 6-8 hours (or longer) will do. Place all ingredients except potatoes in a resealable gallon-sized freezer bag. Mix together and zip bag closed. Cut up potatoes and add the contents of the bag to slow cooker. Cook on low for 7-10 hours. I paired these with Magpie’s Crockpot Dumplings and they were awesome! The dough is a bit thick and heavy and it doesn’t seem like dumpling dough to me, but they were really great! I didn’t cover my slow cooker with tinfoil like she did and it worked just fine too. It really is a great stew, especially if you don’t like a strong tomato-based stew like me!